No one, that’s who. My second Countertalk blog post for Cultivate is about farmhouse sinks for your kitchen that fall just a bit outside of the norm. 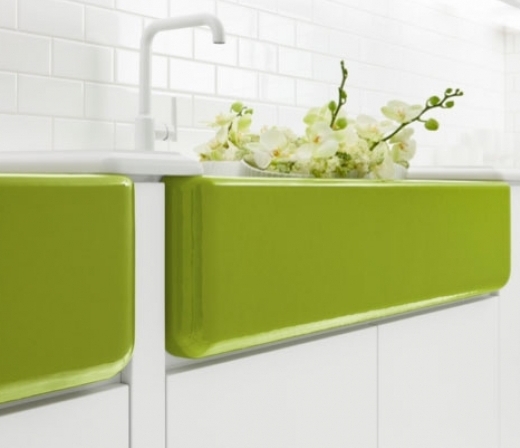 Like this lime green cast-iron model from Kohler. Jonathan Adler designed the Greenwich Green color for this Kohler cast-iron sink. Personally, I’m a big fan of the soapstone sink, though I doubt my ability to ever afford it. Go read “5 Farmhouse Sinks With a Twist,” then come back here and tell me which one is your favorite.